Corner Lot - Beautiful Land! 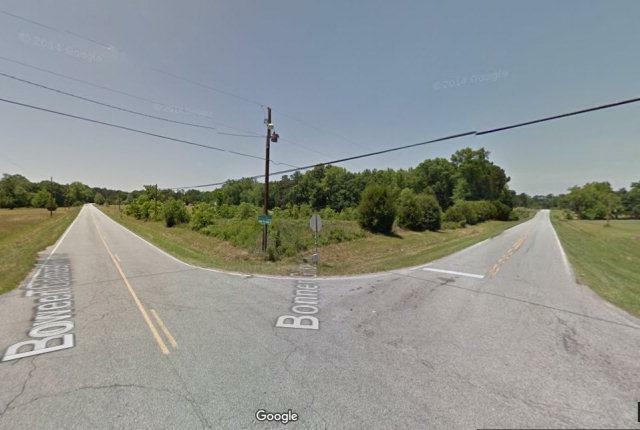 Bibb County Parcel # DE89-0111 - Lot A17, is approx 4.47 acres with no improvements. Frontage on Lower Thomaston is approx 309' and frontage on Bonner Gilbert is approx 686'. Zoned Agricultural per Bibb County Planning & Zoning. Wonderful flat land, part pasture, part wooded. Consult with County on possible multiple lots. Adjacent 5.3 acres available for sale - 2031 Bonner Gilbert Rd with barn large enough for 12 horses.